CJ Sapong dealt to Philly. Frustrating player, maybe he lives up to his potential there. Aurellian Colin deal to Orlando City. Don't get that, but I haven't seen what we get back. Money concerns? EDIT: Wow, first round pick for Sapong. Great trade. During a half-day trading window, the club is primed to make three deals, sources told The Star, the heaviest of which will send veteran defender Aurelien Collin to Orlando City SC in exchange for allocation money and future considerations. In a separate deal, Sporting KC will acquire Columbus midfielder Bernardo Anor for allocation money. In a third deal, Sporting KC is set to trade forward C.J. Sapong to Philadelphia in exchange for a 2015 first-round draft pick. Anor scored six goals in 27 appearances with the Crew this season after a four-goal campaign in 2013. He split time between a left midfield role and a central attacking role. So far, I haven't heard anything that makes me think we are going to improve. We will rely heavily on the impact of our draft picks. Ugh. Collin liked the city and was a fan favorite. I understand that he and SKC weren't going to be able to reach a new deal after 2015, but what they got in return looks infinitely less valuable than another season of him playing here. Not trading him and letting him walk after next season would have been a better deal. SKC is dumping Callum Williams and Diego Rodriguez on their broadcasts. I thought they were decent enough. Any reason why? chaglang wrote: Ugh. Collin liked the city and was a fan favorite. I understand that he and SKC weren't going to be able to reach a new deal after 2015, but what they got in return looks infinitely less valuable than another season of him playing here. Not trading him and letting him walk after next season would have been a better deal. i'm pretty sure collin's deal was already up. orlando just traded for his mls rights. i mean, you have to assume that orlando and collin had a tentative agreement on a new contract (he's since signed one) before the trade was executed, but technically speaking, we could've traded him to orlando and then he leaves the league in a month and orlando has nothing to show for it (except his rights should he come back to mls in the future). i'm really disappointed by the move as i was a big fan. the team just didn't want to tie up so much of their cap in two centerbacks. it's an understandable position to have, but i'm of the opinion that you build from the back... and locking up two of the best cb's in the league long term would be where i'd begin. bobbyhawks wrote: So far, I haven't heard anything that makes me think we are going to improve. We will rely heavily on the impact of our draft picks. we apparently have plenty of allocation cash (kind of like monopoly money that we can use within mls to "buy down" the contracts to help us out with salary cap, or use for transfer fees) that we're going to be using when the transfer window opens (in the new year). robb has already mentioned that there's a number of deals lined up. this is just kind of the period of players going out; players coming in will come later. you are right, though, that draft picks have been an integral part of skc's plans... and, for the most part, have been put to good use. KCMax wrote: SKC is dumping Callum Williams and Diego Rodriguez on their broadcasts. I thought they were decent enough. Any reason why? wow, this is news to me. maybe cal got another gig elsewhere. diego (gutierrez, by the way) was kind of a failed experiment. he was ok, but it always irritated me how he mispronounced zusi about half the time (he'd pronounce it suzi). I can deal with a Spanish pronunciation of Zusi before I can handle another commentator with a British, Irish or Scottish accent. I think american soccer has progressed far enough along that we don't need it 'legitimized' by having commentators from the UK. Isn't Diego Gutierrez a local? There was a kid by that name who went to Blue Springs HS, I believe, and played for Rockhurst College 20 years ago and I also believe went on to play pro. So his English should be pretty good. Totally agree. Increases the perception of soccer as a "foreign" sport, IMO, for better or worse. Kind of like F1 (which "is" a foreign sport) announcers. aknowledgeableperson wrote: Isn't Diego Gutierrez a local? There was a kid by that name who went to Blue Springs HS, I believe, and played for Rockhurst College 20 years ago and I also believe went on to play pro. So his English should be pretty good. Could be. My point was just that most people retain nuances of their native languages no matter how old they are, and pronouncing Z like an S is just part of language. I enjoy a British Accent over an American accent, the games seemed more important when Callum was calling the games. Of all the Local sports tv guys radio or tv I would rank him 2nd, Ryan Lefebvre would be #1 in my book. Denny Matthews and mitch holthus are probably my least favorite of the local guys. Mitch Holthus is so damn annoying. Between this and getting rid of Collin, it is a bit unsettling (though still hard to know all of the details of both situations). I'm all for the Patriots method of "nobody is sacred," but I worry that our management is trying to flex their muscles to the wrong end. I'd hate to see something as hot as SKC has been (excitement-wise) get burned from flying too close to the sun. yeah, that's him. his english is quite good and he actually has neutralized his accent somewhat from living here for so long. kcjak wrote: My point was just that most people retain nuances of their native languages no matter how old they are, and pronouncing Z like an S is just part of language. yeah. i should be clear that i don't have a problem with it in general. hell, he speaks english better than most i've come across that were born here, which, unfortunately, isn't much praise at all considering how poorly english is used anymore. it's just that if you're a broadcaster, i think team members' names should be #1 on the priority list. that said, i'm probably being too harsh on this point. he does pronounce it correctly if he's not under pressure while rattling off a bunch of stuff during the broadcast. i like to pick nits, though, on these types of things. They should replace him with Rex Hudler. 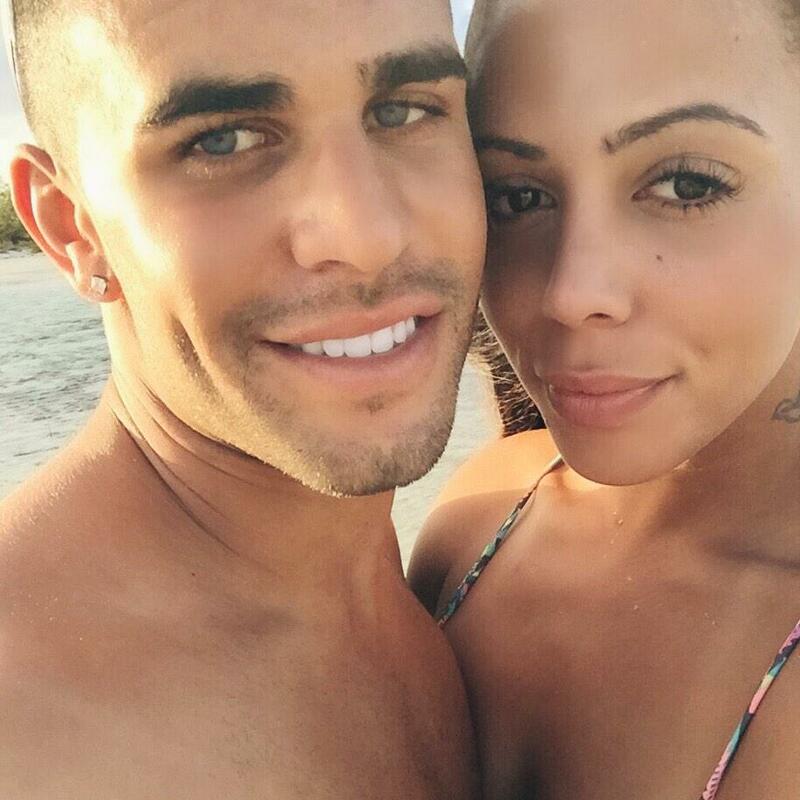 Dom Dwyer and USWNT's Sydney Leroux. Not a bad life. Nate Bukaty hired to replace Callum Williams. I didn't love Callum Williams, but Nate Bukaty? I love him even less. Well, we now know who the mystery international signings are: forward Krisztian Nemeth (Hungary) and keeper Luis Marin (Chile).